Sally provides full service probate and estate planning work, helping individuals and families navigate the legal issues of death and incapacity. Beginning with estate planning for all ages, traditional and blended families, working through the estate and trust administration process, guardian and conservator proceedings, contested matters (litigation) and all the way through the appellate process, Sally can work with you in resolving your issues. She is also a court approved mediator with enhanced experience in probate matters. In addition to her probate and estate planning work, Sally is a Certified Professional Coach, and provides Executive Coaching Services on a one-on-one basis, as well as in a corporate setting. 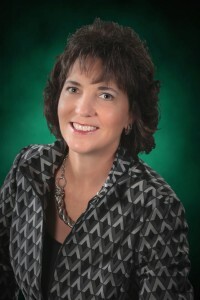 Sally has served as president of the Greater Lansing Estate Planning and Probate Council, past board member of the Women Lawyer’s Association, adjunct professor at Thomas M. Cooley Law School and Baker College, and was named as one of Lawyer’s Weekly’s Up and Coming Lawyers.